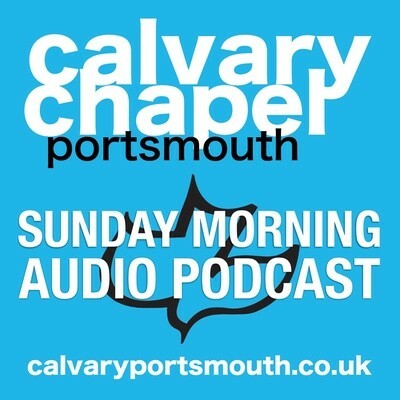 This study, taught by pastor Barry Forder at our Sunday morning service on Sunday 17th July 2016 is the conclusion of our verse-by-verse study through the book of Revelation. In Revelation 21:6 the ‘One sat upon the throne’ declared “it is done!” God’s plan from before the foundation of the world is completed. This is summarised in Ephesians 1:9-10, where Paul states: “Having made known unto us the mystery of his will, according to his good pleasure which he hath purposed in himself: That in the dispensation of the fullness of times he might gather together in one all things in Christ, both which are in heaven, and which are on earth; even in him” (Eph 1:9-10). My paraphrase of this verse is that the mystery once hidden, has now been revealed, and it is this: that when everything is said and done, God will gather together into one all the believing Jews and believing Gentiles, whether rich, poor, masters & servants, male and female; all gathered together without distinction in Christ. As He hold the universe together by the world of His power, so He will unite all of redeemed humanity, forever to be His people and He to be their God! In Ephesians 2 Paul reminds us of our past, that we were dead in trespasses and sins, that we had fallen short of God’s perfect standard, that we were destined for God’s righteous judgment and wrath, “But God, who is rich in mercy, for his great love wherewith he loved us, Even when we were dead in sins, hath quickened us together with Christ, (by grace ye are saved;) And hath raised us up together, and made us sit together in heavenly places in Christ Jesus: That in the ages to come he might shew the exceeding riches of his grace in his kindness toward us through Christ Jesus” (Eph 2:4-7). It is these ‘ages to come’ that we are given a glimpse of in the closing chapters of Revelation. In the chapter 21 we are introduced to this incredible city, prepared and beautified like a bride on her wedding day. This city is to be the eternal home of the redeemed. In this session we will continue the tour of our new home, and then conclude not just the book of Revelation, but the whole of God’s revealed Word to man in the Bible with the marvelous declaration that way to life is open to whomsoever would come, with the promise “Surely I come quickly”! May this study encourage you and deepen your love for God and His Word!